We specialize in secure high quality digital distribution of software, documents and presentations on DVD or CD. This media is cost effective, can be protected from being erased or over-written, and offers a wide range of packaging options. Duplication refers to the burning of data to an existing disc, while replication is a process that produces a CD or DVD by molding the disc to be an exact copy of the original master. At GVC we offer our customers convenient and flexible solutions for custom CD-R and DVD-R duplication. 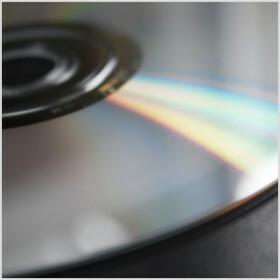 We specialize in projects of 1 – 500 discs, and only use high quality discs for our duplication services. Our fully automated systems accurately duplicate you data, thermal print your colour artwork directly on the discs, and provide the assurance of bit-by-bit data verification. Of course, we offer a number of packaging options. We support all major media including video, CD, DVD, and Blu-Ray as well as conversion in all formats from PAL, NTSC and SECAM. We are a fully-licensed replicator of optical media and our friendly in-house interactive media staff is available to answer any of your replication questions. Our printing technology provides high-quality full colour printing, with a choice of traditional screen printing as well as, the latest in CMYK offset printing. We are pleased to offer pick-up, packing and shipping services designed to meet your needs nationally or internationally.